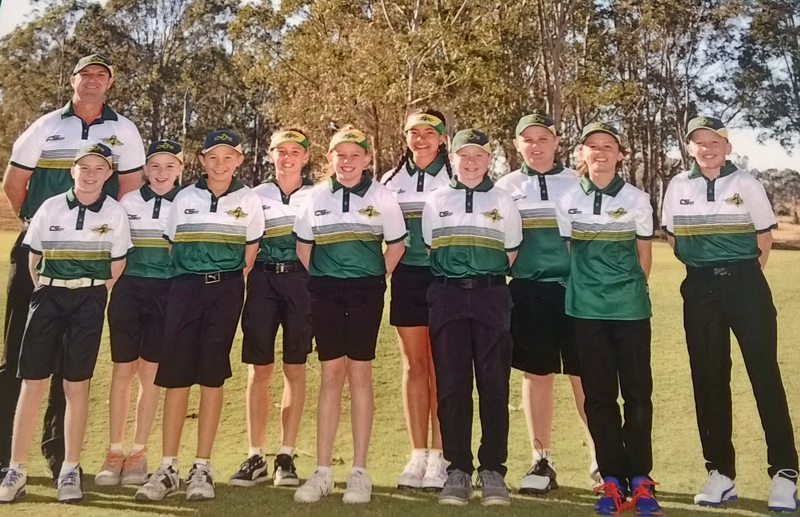 Hollie Fuller (Grafton) and Vanna Limeburner (Kew) played in the NSW PSSA Golf Championships last week, representing the North Coast at Camden Lakeside Golf Course. The Team came 2nd overall in the Nett and received a runner up medallion. Vanna recorded rounds of 96 and 106 and Hollie posted rounds of 102 and 94. The wind blew constantly and strongly over the 2 days, with no protection as it was a links style golf course with mounds and bunkers no trees, very slick undulating greens. Vanna’s first round was particularly impressive given those conditions and she was very proud of her effort. Hollie came good in the 2nd round after correcting some putting problems from the first round. Hollies 2nd round was the 2nd best overall score of the day for the girls.